Our project's aim is to work with and support people in Nottingham who are homeless or have no fixed address. We provide them with not only the essentials of food, clothing and toiletries but with the company, interaction and respect that we all need and deserve. 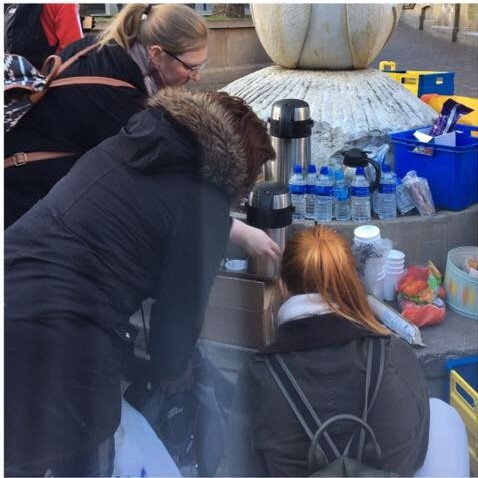 Once a month we spend an evening on the streets of Nottingham providing homeless individuals with hot drinks, something to eat and a non-judgmental ear to listen to their story. We are able to promote both physical and mental wellbeing and signpost individuals to the services they require. Our goal is to help support those who are vulnerable in our community. 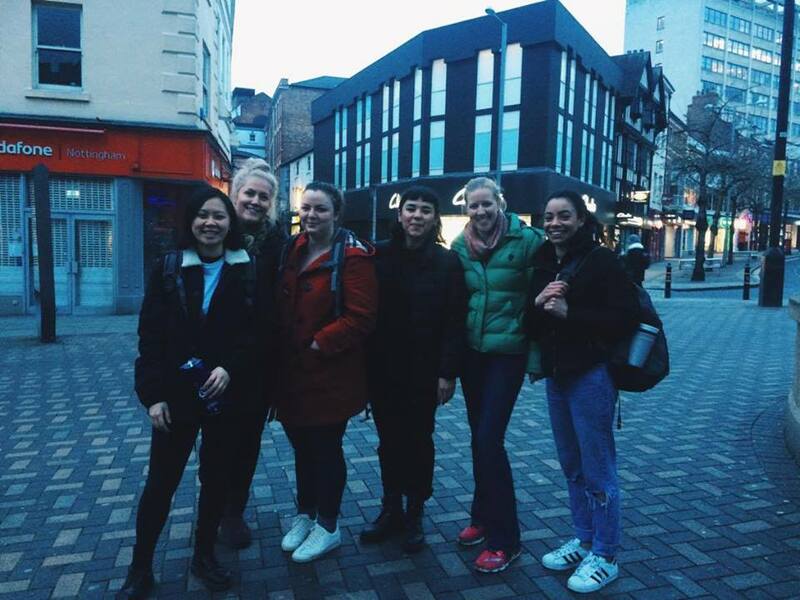 We are a team of 5 adult, child and mental health nursing students who are joined by a variety of volunteers mainly consisting of students and staff members from the University of Nottingham. Homelessness in Nottingham has reached its highest level in almost 20 years. It has been estimated that there are 33 people sleeping on the streets in Nottingham and there are many more sleeping in night shelters, hostels and other unstable accommodation. Homelessness not only presents the problem of not having a place to call home but it is also associated with many physical and mental health problems. Those who are homeless have a higher risk of death, hunger, malnutrition, respiratory disease and infectious diseases. Homelessness and mental health often go hand in hand, depression is over 10 times more prevalent in the homeless population. Social exclusion is also a major concern due to the stigma associated with being homeless. Our aim is not only to raise awareness of homelessness but to actively promote social inclusion to help tackle this increasing problem. We currently run off donations of supplies e.g. food that can be rehydrated and old clothes which means that sometimes we do not have enough to go round. All funds that are raised to reach our minimum target will be used to buy extra supplies and also fresh foods on the nights out including fresh fruit and milk, which are a huge success with the homeless people we meet. If our target is exceeded we will be able to increase the frequency of our nights out and use the additional funds to provide people with sleeping bags and good quality warm clothing to help people to survive living on the streets. · £10 – will provide 3 essential toiletry packs including; toothpaste, toothbrushes, mouthwash, wipes, soap, deodorant, toilet paper, razors and shaving cream. Not everyone will be able to donate, however everyone can help by clicking the ‘become a helper’ button at the top of this page! Please help us spread the word of Tea and Company by sharing this page with your friends and family on social media, via email, over the telephone or even in a chat over a cuppa. Please donate what you can to help us make this project continue to succeed - your change can help transform the lives of Nottingham's homeless population! Have a look at our great donation rewards! Unfortunately we are unable to send donation rewards for international donations. A personal thank you on social media. A personal thank you on social media and an e-card with an update of the project and its successes. A badge with the Tea and Company logo. A magnet with Tea and Company's logo. A mug with Tea and Company's logo on. A desk calendar with Tea and Company's logo on. A tote bag with Tea and Company's logo on.